Moore Haven, FL - A prescribed burn will be conducted on 8,000 acres of Lake Okeechobee east of the Moore Haven Canal on Monday, Dec. 3, to improve fish and wildlife habitat on the lake. Application of prescribed burning is part of an integrated management approach on Lake Okeechobee, Florida's largest lake. 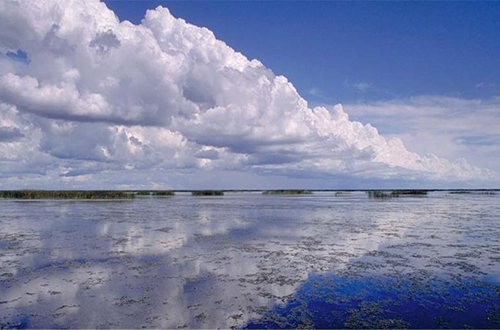 Lake Okeechobee is managed in partnership with the FWC, USACE, SFWMD and Audubon of Florida.